Sometimes when I'm at the grocery store, I browse the produce section and wonder if there's any new fruits and vegetables I can let Shiner try. If I'm feeling creative, I will try to think up ideas to turn the produce into tasty dog treats. This week, I saw a nice looking head of cauliflower. Shiner has not tried cauliflower before, and it's been a long time since I've eaten it too so I picked it up and put it in my cart. Of course, I've never heard that it's bad for dogs to eat Cauliflower so I had to search the internet to make sure. Just in case. 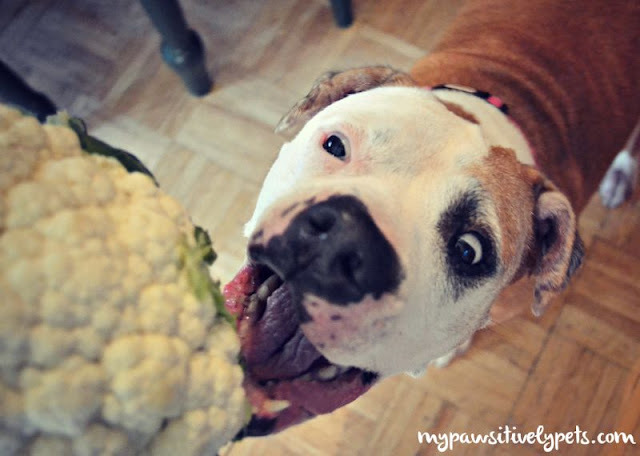 Can dogs eat cauliflower? The answer is yes, but in moderation as is the case with many treats. Cauliflower can make your dog gassy, so if you want to avoid it you might just feed a little bit at a time. 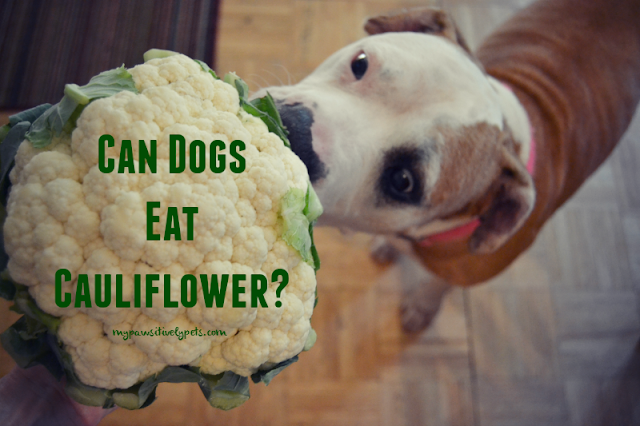 Other than that, cauliflower is a healthy snack for dogs and can be fed either fresh or cooked. Cauliflower is very similar to broccoli, but broccoli tends to have more flavor. One interesting thing I just learned about cauliflower is that it contains isothiocyanate which is a carcinogen blocker and can prevent cancer cells from spreading. It's also a good source of vitamins and fiber for your dog. 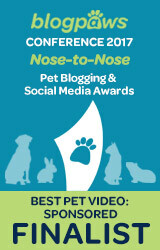 Stop by here tomorrow and we will share a tasty cauliflower dog treat recipe! 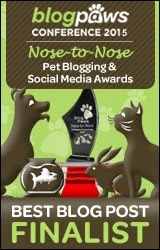 Happy Wordless Wednesday and Click here for more pawsome blog posts! Really? Thanks for raising this question, as I never knew the answer either! Like most things, I just assumed it was OK. It's easy to remember the bad stuff, but sometimes I think the good stuff gets overlooked! of all the vegetables i give bailey, cauliflower is her favorite. Oh really? That is awesome! We'll be eating cauliflower today and will see how Shiner likes it! Great, more veggies. I'm not a veggie loving dog, but I'm sure I will have to try this now in the near future. BOL - well it will be good for you Emma! Shiner is also not a veggie loving dog. She will eat them if they are cooked or made into treats though. Our pup Daphne loves both broccoli and cauliflower. I tried to grow them in the garden this year, and both disappeared. I couldn't figure it out at first. Then I saw Daphne come slinking out of the rows with a broccoli plant in her mouth! I have given Dakota broccoli before and he loves it. Actually I have yet to find a food that he DOESN'T love! Will have to try giving him some cauliflower too. Thanks for the information on Cauliflower. I never checked to see of they could or could not et cauliflower. My dogs love to eat cauliflower and broccoli. Most of the time, the good things don't get as much "publicity" as the bad things. As long as we all know what NOT to feed, we are probably safe! 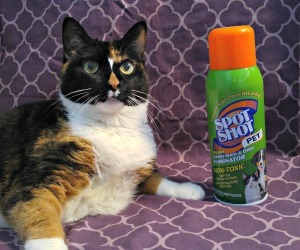 Oh, I bet Shiner would shred that to bits for you Miss Ann. You know, you can make mashed cauliflower for you and Shiner...like mashed potatoes but much healthier. I wonder if you all would like that? That's a good idea Oz, and I've seen some recipes like that before that we may have to try soon. My 3 year old LOVES mashed taters, so I bet she would eat that right up. I usually only buy cauliflower if I'm making a vegetable tray, but I should pick up a head sometime just for us and Haley to try. For some reason, I tend to overlook it when I'm in the produce aisle. You know, I have never thought about feeding them cauliflower!!! LOL! Shiner is so cute! It looks like she can't wait to get a hold of that cauliflower. I have a feeling that you will have to enforce the whole "moderation" thing on this one. Faraday: doesn't everything make a dog gassy? Maxwell: DOOD. Or rather, should I say, "pot, meet kettle"? I use cauliflower for Cookie refularly, rotated with other veggies. I could see Luke wanting to grab that and munch away at it too! :) We tried zucchini with the dogs this last weekend. It was a no-go raw but when I baked it with cheese and bread crumbs on it, it was a hit! The trick to getting any dog to eat their veggies is to put melted coconut oil on it and mix it around. Dogs love coconut oil and it's great for them. That's how I get my dogs looking forward to eating their veggies. Their favs are cauliflower, carrots, Brussels sprouts, and sweet potatoe!